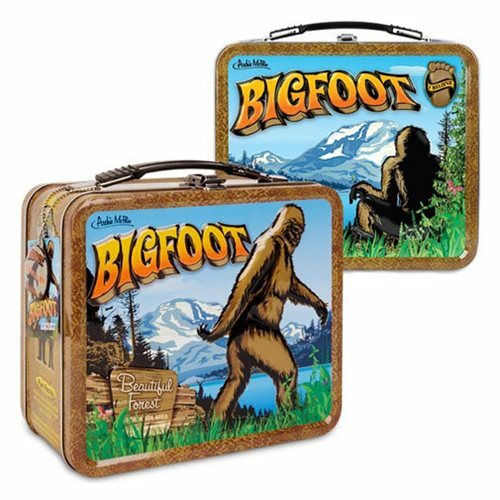 Looking for the perfect lunch box to take to your picnic with Bigfoot? Look no further! This retro, metal Bigfoot Tin Tote has a plastic handle and is great for packing whatever you want. Prominently displaying a retro looking illustrating Bigfoot image, this Tin Tote is sure to impress you large, furry friend. It measures 8-inches x 7-inches x 4-inches.